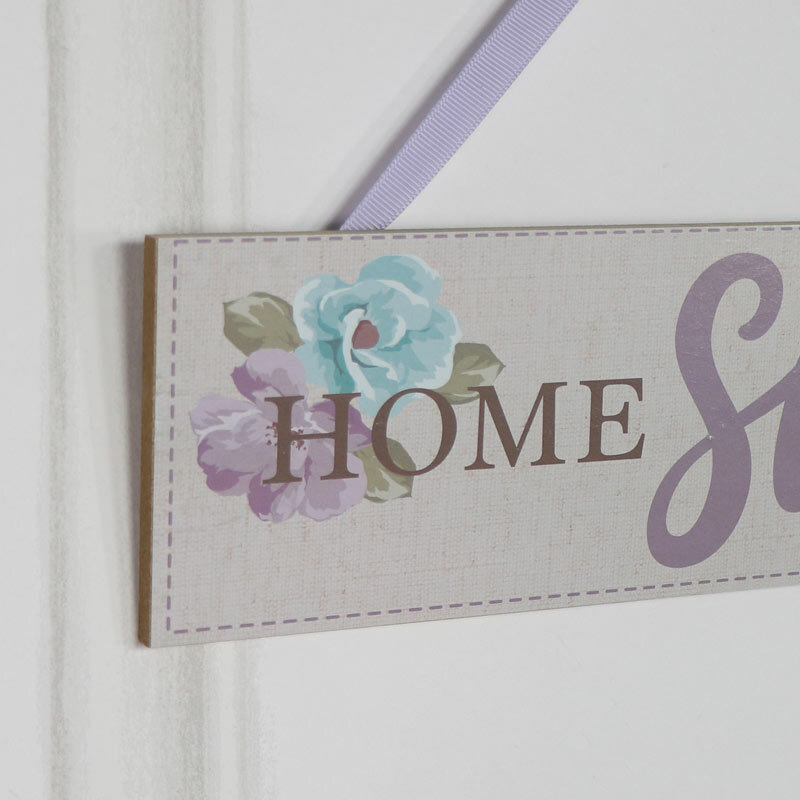 Wooden Wall Plaque "Home Sweet Home"
< Wooden Wall Plaque "Home Sweet Home"
Plaques and signs are one of the best ways to express yourself and your style. This plaque will add a beautiful vintage feel to your home with the sweetest sentiment. 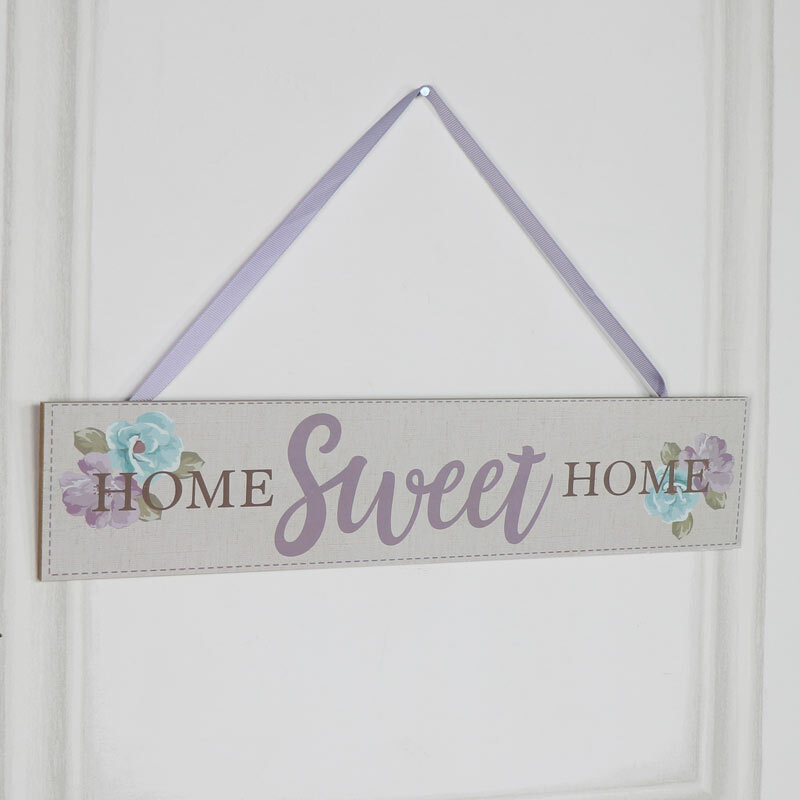 Decorated with the words "Home Sweet Home" against a cream background with the picture of a pretty blue and pruple flowers placed on both ends of the plaque. This would look perfect hung in the living room or hallway. Plaques and signs are one of the best ways to express yourself and your style. This plaque will add a beautiful vintage feel to your home with the sweetest sentiment. Decorated with the words "Home Sweet Home" against a cream background with the picture of a pretty blue and pruple flowers placed on both ends of the plaque. This would look perfect hung in the living room or hallway. Made from wood with printed front and easily wall mounted from a pretty purple ribbon. If you're looking to add a little more expression or make a feature wall, we have a fantastic range of plaques to choose from. From the inspirational to the humourous, in a range of styles, shapes and designs.